Check out Tobi's Swirl Me Around Hoop Earrings Classic with an actual twist. 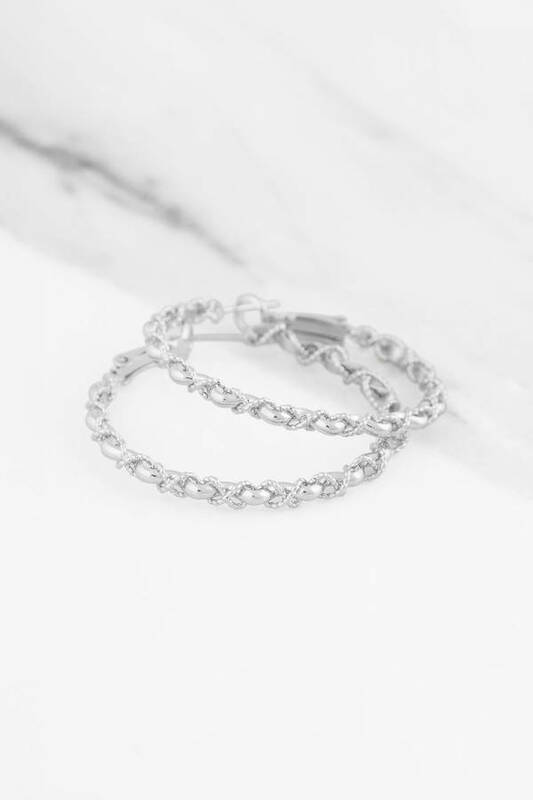 With a central wavy hoop entwined with two ball chains, the Silver Swirl Me Around Hoop Earrings offer an edgy take on the classic hoop. Yes, they love to party, but we love these oversized hoop earrings with weekend sweaters too. Classic with an actual twist. 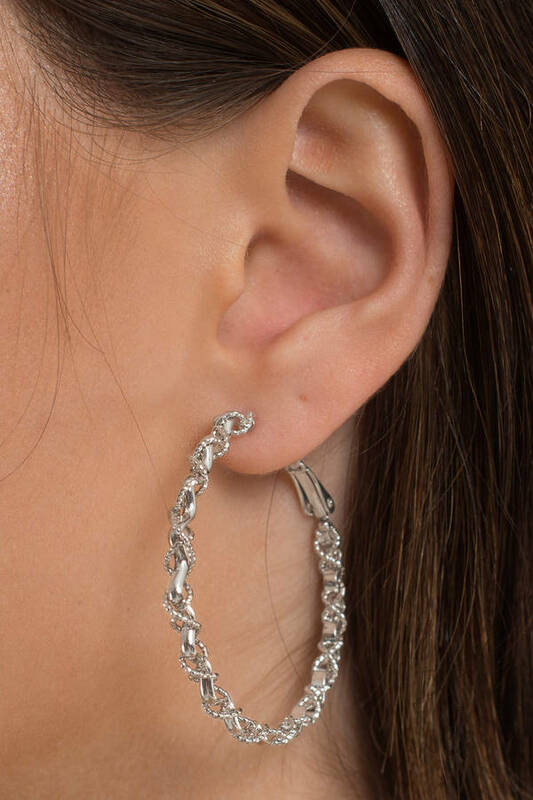 With a central wavy hoop entwined with two ball chains, the Silver Swirl Me Around Hoop Earrings offer an edgy take on the classic hoop. Yes, they love to party, but we love these oversized hoop earrings with weekend sweaters too.